A beautiful day. 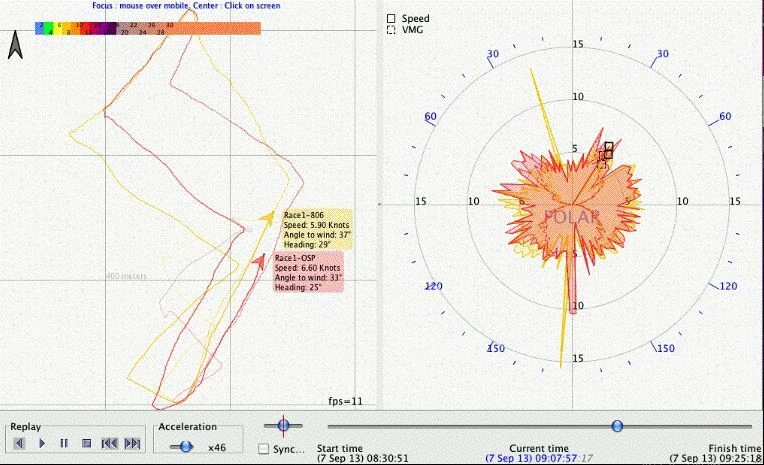 Below are video captures of the GPS data from the Speedpucks aboard Tim’s OSP and Stew’s 806. Check this out...amazingly close race right to the end! This was a great day on the water. Carrie and Jason were in the forward cockpit trading duties on the boards and sheets. It was a first I20 race for both. Our loyal opposition, Tim and Braden, showed in the hotrod OSP and schooled us with lots of leebow mumbo jumbo in the start gate every… single… race!